Region – PR Management Corporation, a franchisee of Panera Bread, recently presented $35,000 to the Worcester County Food Bank (WCFB) as part of its Feeding America initiative. 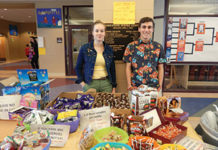 Providing hunger relief to the people of central Massachusetts, the Worcester County Food Bank focuses on engaging, educating and leading Worcester County by creating a hunger-free community. PR Management Corp. will donate a total of $225,000 to food banks not only in Massachusetts, but in Maine and New Hampshire as well. 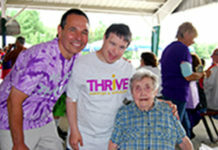 The bakery-cafes of Massachusetts operated by PR Management Corp, including those of Shrewsbury, Leominster, Milford, Westborough, Millbury, Webster and Worcester, collected funds from customers through in-store canisters. 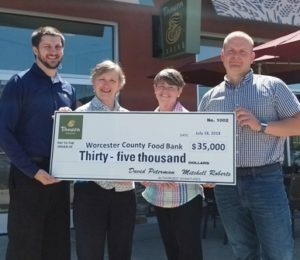 Panera Bread/PR Management then matched a percentage of all funds donated by its customers, bringing the total donation for the Worcester County Food Bank to $35,000. For more information on WCFB visit www.foodbank.org.